For most everyone, it’s simply telling your friends about something you liked, wanting them to share your find or enjoyment. For business owners, it’s gold. I’m writing of course about a word of mouth marketing. And while hardly a secret, far too many small businesses fail to take full advantage of this kind of marketing. EarnCoupon aims to right this wrong. EarnCoupon is a social recommendation platform that transforms positive word-of-mouth marketing into business growth and customer rewards. Given estimates by sources such as the New York Times that 65% of new business comes from a recommendation by someone known, no business owner can afford to miss out on any word-of-mouth, brand building opportunity. At heart, EarnCoupon provides a straightforward, simple service. Registered businesses create a promotion and add a button to their website. Customers are then asked to pass along information or a short recommendation. In exchange for sharing a post with friends, customers receive 5% to 10% discounts (5% for sharing suggestions on each Facebook and Twitter). In this win-win setup, businesses enlist the help of happy customer to nudge news of their good experiences along. Since 77% of customers are willing to talk up a brand with their friends, they’re not asked to really do anything that they wouldn’t be doing already. They just receive extra discounts to show for their support – and of course encouragement to continue spreading the good word. Regardless if your business is online or not, online talk helps generate interest and profits. Doing so doesn’t need to remain a mysterious or budget-busting proposition. 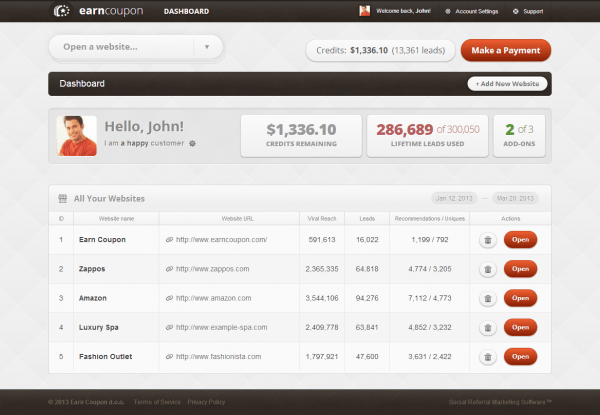 EarnCoupon charges a low-cost fee 0f $.10 per lead. Currently, there is an offer available of 50 free leads, which amounts to a free trial. 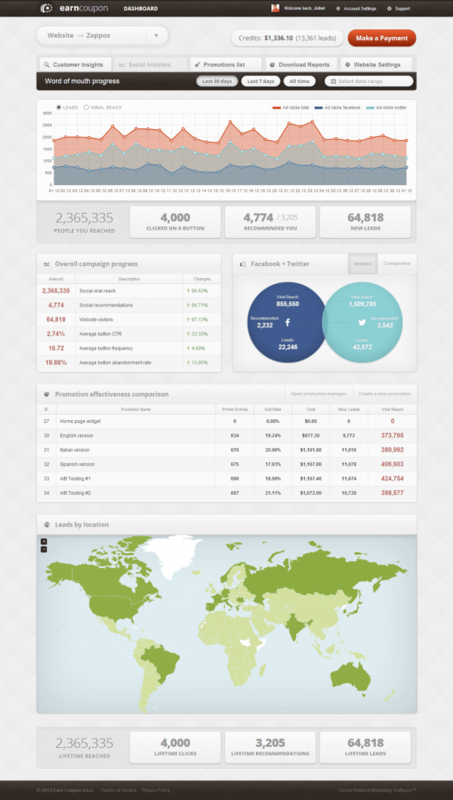 Beside the incentive for customers to become cheerleaders behind brands, EarnCoupon provides real-time tracking of what your customers are saying about a company on their social networks. Analytics help businesses make sense of who customers are, where they’re from, how they’re interacting with a brand, etc., to further enhance social media marketing. In essence, EarnCoupon makes the invisible magic of word of mouth marketing visible so that businesses can make the most out of recommendations. EarnCoupon has already completed StartupAcademy and been invited to make a pitch at Seedcamp, the largest startup accelerator outside the U.S. CEO Rade Joksimovic of Belgrade, Serbia, was busy building a previous startup that he eventually sold to a U.S. company – dealing with over 400 businesses – when he noticed that they shared a common problem. They were all unhappy with online marketing available to them and relying on word-of-mouth without any control whatsoever. 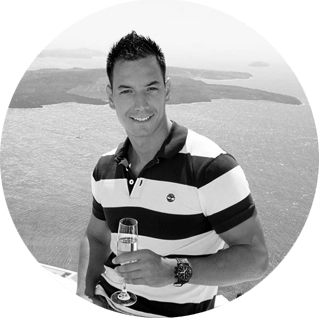 Joksimovic teamed with CTO Boban Karisik to build EarnCoupon as the solution. For more details on how to gain customers by friend suggestions, visit here.